That’s because April is the month when the Passenger Experience Conference, the Aircraft Interiors Expo, and the World Travel Catering and Onboard Services Expo take over the beautiful Hanseatic City of Hamburg, revealing myriad possibilities for passenger experience improvements. Some already flying and others blue sky. 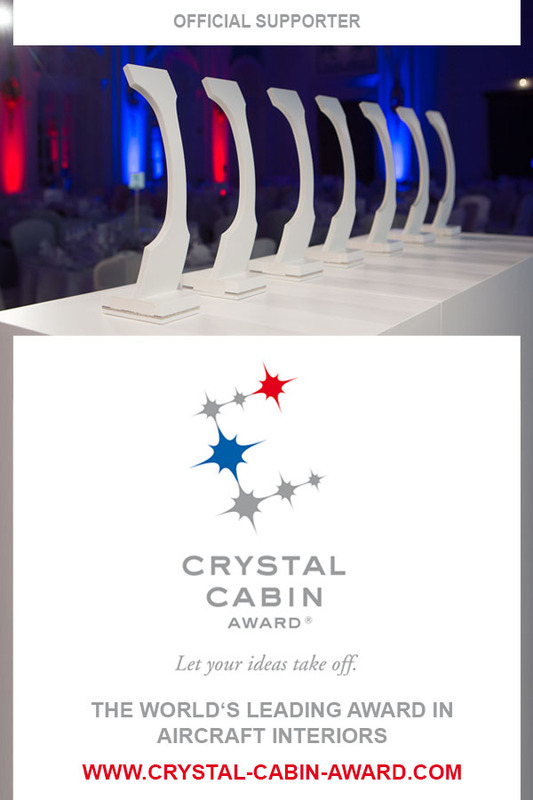 Of course, it is also when we learn the winners of the Crystal Cabin Awards, recognising the best innovations in the sector. This is a special year for the awards, as it celebrates its 10th anniversary. It’s all enough newness to make daffodils blush! The Passenger Experience Conference (PEC) will feature industry specialists and visionaries who will share their views on the future trends of the passenger experience industry. This year, the conference will focus on the three elements critical to the passenger experience, exploring opportunities to improve air and rail travel through cabin interiors innovations, in-flight entertainment and connectivity (IFEC), hospitality, service and retail. Moderators leading in-depth breakout sessions, will include: Blake Emery, Director of Differentiation Strategy at Boeing, and Rich Salter, Chief Technology Officer of Lumexis who will discuss and debate these three key elements of the passenger experience. Keynote speakers will include Garen Moreno from BMW Group Designworks, who will lead a discussion on the needs of ageing travellers and the opportunities for passenger experience improvements of the digital age. Juan Carlos Iglesias, from Immfly, will discuss the onboard e-commerce potential of the IFEC session. Chris van Rÿswÿck from Pragma Consulting will explore changes in seamless digital experience and ancillary sales. Vassilios Georgakopoulos, Director Product Marketing and Michael Wahl, Vice President Product Marketing and Innovation of LSG Sky Chefs, will discuss hospitality, service and retail opportunities, as industry and passenger needs evolve. Alexis Steinman, Senior Vice President of Digital Media Solutions at Global Eagle Entertainment. As the day closes and before the Industry Networking Party, there will be a Leaders in Innovation session featuring speakers Don Buchman, VP and General Manager Commercial Mobility at ViaSat, and Michelle Lee, Director of Marketing and Guest Experience, Aer Lingus. The PEC on 4 April kicks off Passenger Experience Week, with the Aircraft Interiors Expo (AIX) and World Travel Catering & Onboard Services Expo (WTCE) taking place April 5-7, 2016. This will be the 17th year for the Aircraft Interiors Expo, which comes as a bit of a shock to those of us who remember the first year the event was held in Hamburg (and even remember attending the Expo in Cannes). Surely, it was all just yesterday! The event–like any well-tended spring garden–has flourished and bloomed into a veritable conservatory of all that is aircraft cabin and in-flight passenger experience related. Where once it was a modest (can’t-miss) gathering of manufacturers and airline buyers, it has become the Mecca of the sector, a unique opportunity to see new technologies and products in the cabin interiors, inflight entertainment and passenger comfort industries. One must pack light and wear comfortable shoes! This year’s event will again be large enough in scope to count as an olympic event. Beyond the 530 exhibitors who have shown off their products and services at the event in prior years (including Panasonic Avionics, B/E Aerospace, Airbus S.A.S., Zodiac, Boeing, et.al. ), the AIX will host more than 60 first time exhibitors including: Spafax, Comfly, Mirus Aircraft Seating. The World Travel Catering and Onboard Services Expo (WTCE) will feature a wide range of product innovations from over 300 international industry suppliers, including LSG Sky Chefs, Global Inflight Products, gate group, Albéa, Colpac Ltd, Anaik and The Bake Factory, part of the Crantock Food Group. WTCE 2016 will also host networking events and demonstrations from world-class chefs. For more information or to register, you can visit the event site here. Additionally, the Aircraft Interiors Expo Asia will co-locate with the Airline Passenger Experience Association EXPO in Singapore in October of this year, adding a rich layer of insights and perspectives on the cabin experience and air travel to this year’s calendar. “Both APEX and Reed Exhibitions have a history of incredibly successful events, so this collaboration will be a win-win for our industry as a whole. We are enthused that APEX will gain more members through our collaboration efforts to advance the passenger experience,” said Joe Leader, APEX CEO. Flight Chic will be reporting from these events–and others throughout the year.